The Glister Children’s Choir, based in Auburn and led by Suzanne MacVicar, has a big year ahead of it and some exciting prospects waiting. 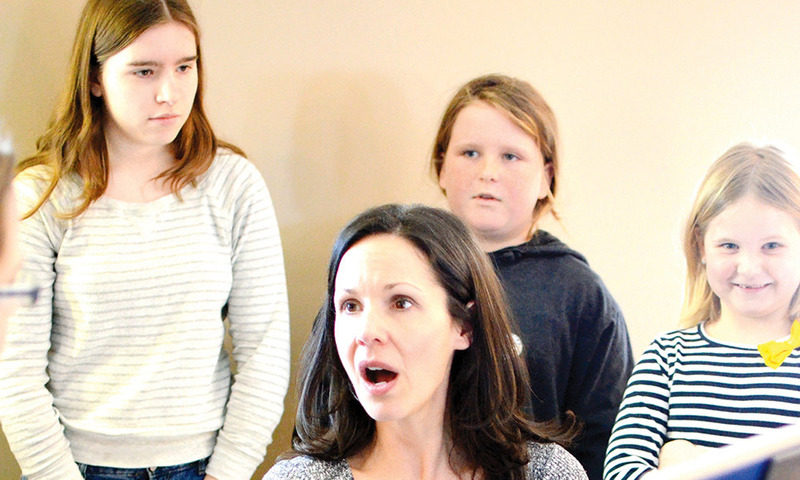 This is the choir’s fourth year and MacVicar says this year’s work will be leading up to the choir’s first-ever individual performance at St. George’s Anglican Church in Goderich. The choir will perform twice on Saturday, Dec. 8, once in the afternoon and then again in the evening, welcoming a number of special guest musicians to Huron County for the show. MacVicar says that while the choir, which welcomes children between the ages of seven and 15, is no stranger to performing, this will be the first time that the choir has organized and headlined its own concert, rather than appearing alongside other, adult choirs. She said that it’s exciting, but that it will also be a lot of work in the months leading up to the show, all beginning with this season’s registration and first rehearsal, which are both scheduled for the morning of Saturday, Sept. 8 at Huron Chapel in Auburn. Registration will run from 9:30-10 a.m. and the first rehearsal will begin immediately, running 10-11:30 a.m. 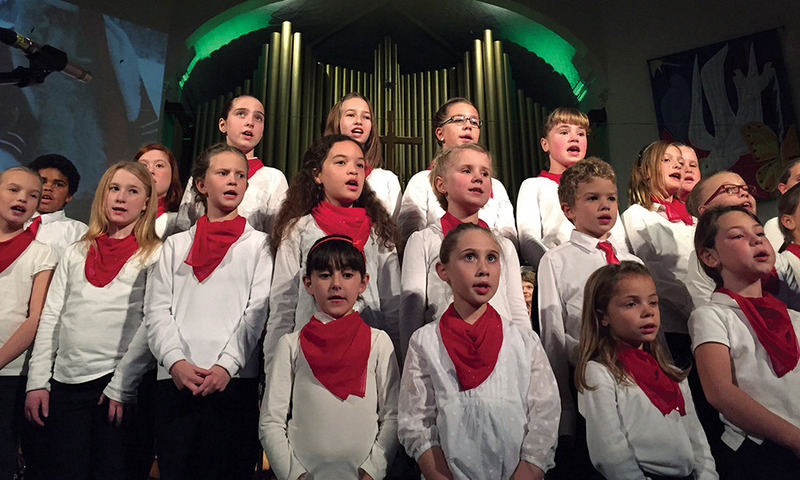 While membership has been steady over the past three years, usually attracting between 30 and 35 children per year, MacVicar is hoping for a slight increase in numbers this year, saying that having 40 children would be perfect for the choir this season. After the choir was founded in 2014, it has grown substantially since. MacVicar says it has been one of the great joys of her life to watch some of her choir children mature and gain confidence through rehearsals, performances and working with the other members of the choir. MacVicar says her inspiration behind creating the choir was her own experience in a choir when she was a little girl. As a member of a choir for 12 years that would travel and perform extensively, she said she wanted to bring the “universal language” of music to the youth of Huron County. After she and her husband Wes moved to Auburn, the two flirted with the idea for a while before actually pulling the trigger in 2014. Wes, Suzanne says, has been crucial to the development of the choir over the years, but has done so in a behind-the-scenes capacity, which is how he prefers it. In the years since the creation of the choir, MacVicar says she feels she has found the perfect age range for members. With seven-year-old members in the same choir as 15-year-old singers, there is a built-in mentorship infrastructure, she said, where the younger members learn from and look up to the older members. In the choir’s three years, the members have not only worked under the direction of MacVicar, but they have also performed alongside some of Huron County’s most talented performers. The choir has shared the stage with the Blyth Festival Singers, the HuronSong Choir and the Goderich Harbouraires, to name a few, and they have also been on The Livery stage in Goderich. However, now, with the help of Rector Kim Van Allen at St. George’s, the choir’s first headlining shows have now officially been confirmed. Registration for the choir is $80 for the year and those interested in being part of the Glister Children’s Choir for this season are encouraged to come to Huron Chapel on Sept. 8, e-mail MacVicar for more information at suzmacvicar@gmail.com or find the choir on Facebook.